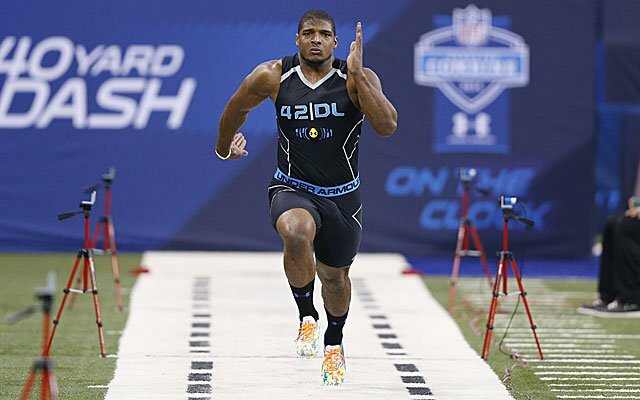 While they are one of the last sports to be breaking the threshold, it will undoubtedly be one of the most notable occasions in America of a professional athlete ‘coming out’, with recent St. Louis Rams draft pick Michael Sam aiming to become the first openly gay player in american football’s NFL. And to help with promoting an image of equality as he tries to make the Rams roster over this summer, Sam has agreed… to star in a reality TV show, produced by Oprah Winfrey’s OWN network. The currently-untitled and undated original docu-series project will follow defensive end Sam, recently picked up by the Rams as their seventh pick (249th this year in the league overall). While he ware recently praised by fellow athletes, fans, and celebrities for his live reaction to being drafted (unashamedly kissing his boyfriend), some of the reaction has not been as positive, a factor which Michael Sam believes stopped him from being selected higher up in the draft rather than just scraping into selection, though others have replied that it was an objective decision made on the basis of a ‘mediocre’ draft combine performance. Now he is in the team, though, Sam’s Rams team-mates already seem to be against one clear thing… the fact that they will have OWN cameras wherever they go on account of the Oprah show deal, which will be produced by Pilgrim Studios and filmmaker Amy Rice. Sam had originally announced his homosexuality after his playing career in college ended with the University of Missouri Tigers earlier this year ahead of the NFL draft, going in as a former All-American all-star player for his position.